Three-quarter time and Spotswood, a powerhouse in Melbourne’s Western Region Football League, is comfortably ahead of Glen Orden. 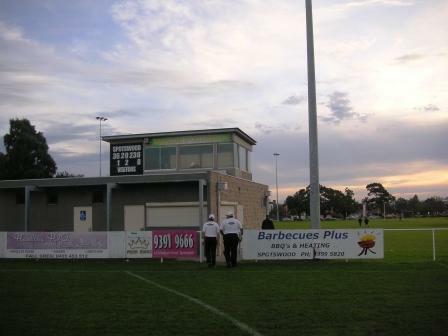 The Roy Picone Sports Pavilion at the Donald McLean Reserve (as opposed to, say, the Don McLean American Pie Reserve) is certainly a solid structure. 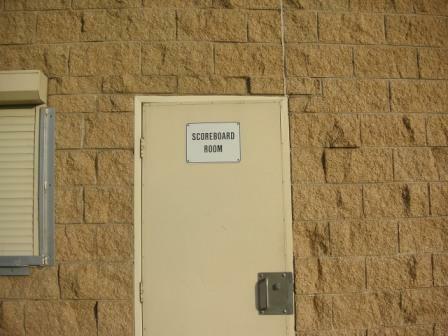 There are two identical scoreboards atop the pavilion – one for the main ground and one for the junior ground. The ovals are beside the Westgate Bridge. Roy Picone is a life member of the Spotswood Cricket Club, the Spotswood Football Club, and the Victorian Cricket Association. He played 80 games for the green and gold Woodsmen and coached six Under 16 premiership teams. 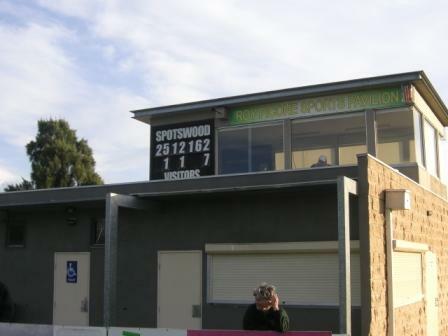 Formed in 1927, Spotswood Football Club has won 14 senior premierships, including the 2007-08-09 hat-trick. 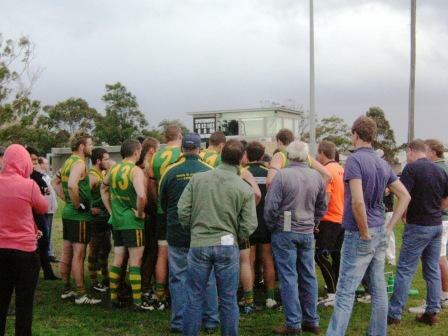 They lost the 2010 grand final to Albion in a high-scoring thriller. The 1992 movie Spotswood, starring Anthony Hopkins, Toni Colette, Russell Crowe and Ben Mendelsohn, was filmed in the working class suburb. The film, about an ailing shoe manufacturer, was re-named The Efficiency Expert for the American market.